Despite the years that have passed, the promises that were made and the opportunities to learn & start again as better, wiser, kinder human beings….has life really changed? In many, if not most cases…no! I’ve been watching the annual TV re-visits of that day and each programme still rattles me to my core. I wasn’t there, I had a bunch of builders in the house watching the TV with me as events unfolded across the pond, unable to take in what I was seeing. Even today, it’s hard to comprehend what happened. There is something quite special about that tree and I’d never heard about it until today. It makes you wonder just what we have to witness to listen & change, you would think that events like 9/11 would kick-start that change otherwise it’s all just a tragic waste again. Hi Jane. If I had to think of a positive that day – and the days following — it would have to be how the world really felt like one. Not political — but as a common people who live on the same planet and care about one another. It’s so sad that our old ways have crept back in — but the tree stands tall. Thanks for the hug. Right back at you. Maybe the world has not changed, but perhaps individuals have. We can only change ourselves. We can do our best to help others, but ultimately they are responsible for their own lives. I think that when we make our own effort to listen to others more, be more compassionate and less quick to react negatively we do impact the world. Whether others change or not, I can be a little light in my own little corner of the world. Thanks for a great post. Something to think about in the days ahead. So glad that you were able to stop by, and I appreciate your comment. If enough of us take care of our corner of the world, at some point the corners will connect. Be well. I also saw this survivor tre in my recent trip and was astonished about its survival capacity..GOD is there..I felt sad when I read some of thoseinnocent victim’s names! The tree’s story is certainly astonishing — and the fact that it survived in the presence of evil and suffering, well, I guess God is there. Thank you for sharing your experiences. Be well. A most beautifully written post, Kevin. I had not heard the tree story before but its a wonderful one. I have heard the no museum story, and that is a sad one. We’ll hope for something better for Joe’s next birthday! Hi Jo. I’m so glad you enjoyed the story — and I do hope the mucky-mucks get their act together and get the museum issue settled. It’s a crime that eleven years later there is no museum, and at this rate, there will not be one next year. Like I said, they should listen to the tree. Thank you for this post. I remember that day extremely well. I had gone to Washington DC with some colleagues for a meeting with the CEO of a large non-profit with headquarters near the Capitol. We were waiting in a conference room, but the meeting was apparently postponed. I stepped out into the hall, and saw someone run past me. She was crying. I walked to an employee lounge with a television, and saw the unimaginable. The meeting, of course, was cancelled. All the buildings in downtown DC were closed. I called my wife in Wisconsin, where we were living at the time. “Turn on the television,” I told her. My colleagues and I joined a throng of people walking out of downtown DC. The roads were gridlocked with cars. Trains had been cancelled. Armed troops in armored vehicles were stationed at key intersections. It was surreal. We walked to Georgetown, where our hotel was located. We could see the Pentagon burning across the river. There were no flights out of town, and it took us several days to get hold of a rental car so we could drive back to Wisconsin. In the meantime I called home frequently. My two boys were frightened and upset. I wish I could say that everyone drew important lessons from that day and that as a society we emerged better from the tragedy. Sadly, I do not believe that is the case. However, your tree does remind us of the power and persistence of the positive desire to live, flower, and bear fruit – for both plants and people. Jason, do you mind that I have tears in my eyes reading your story? It had to be incredibly frustrating to be so far from home, so far from your wife and boys. We all have our stories from that day and we must tell them so that future generations will understand 9/11. Be well. Sharon, how wonderful that you were able to replace your pain with joy. I hope you will be able to visit — and I hope that there will be a museum there for your granddaughter. By the way, tell her that a lot of people out there are wishing her a Happy Birthday. Now that mother and her son have moved me to tears as well. Beautiful post. Sara, I have told my 9/11 story several times over the years — and each time I get to that part, I get choked up. I cannot remember the name of the student or his mother — I just remember the emotion, and it is as raw today as it was then. I’ve just been back to read your post, both that one and this one make me stand still and pause. And the tree as a survivor, special. My one thing is that it is fenced off, a shame. Hi Claire. The memorial is all those things — and to hear the whispers of languages from all over the world just adds to the universal impact of that day. I wondered about the fencing myself — and I think it’s for the safety of the tree, so there is no climbing and carving of initials. The tree’s story, though, is quite moving. Be well. Claire, I love the idea of encouraging people to hug a tree and walk on the grass. It’s more than an invitation — it’s a chance to breathe and enjoy the most basic things in life. Maybe someone with some pull will read this and remove the fencing around the tree. I believe it is true that the druids believed that their ancestors’ spirits resided in trees, and that our superstition of ‘touching wood’ is derived from thence. In times of trouble we went to the trees, touched them, and perhaps embraced them for comfort and guidance and a connection to old wisdom. Whatever the logic, I enjoyed reading your post very much. Thanks for sharing that! It makes a tremendous amount of sense. Thanks for your comment. jo’s world sent me over here. thank you for this touching post. the mom and son brought tears to my eyes, 11 yrs later and over here in texas. thank you for sharing that special moment with us. Hello and welcome. I’m glad you stopped by. Each time I think of them, I cry as I did on that day. Thanks for commenting. A short note to let you know I have mentioned this blog on mine and included your url. This is a wonderful, timely post. Thank you! Cindy, many thanks for your kind words. Excellent post, Kevin. I will mention it on my blog. Thank you. Hi Cathyann. Many thanks for your support. Like you I can still remember where I was and all those feelings watching the pictures over and over again.I do not think I had ever felt anything like it before. For those who lost loved ones and friends it must be such a hard thing every year to remember. I have been thinking a lot about it over the weekend as the time approaches. Thank you for the pictures for those of us who may never get to see what is being built there.A lovely posting Kevin. Thank you. Lona, thank you for your kind words. In the NY area, 9/11 never seems to go away. It lingers in the air. And as the anniversary approaches, I know that I cannot turn on the television, since every local news station will broadcast the memorial services. I can’t bring myself to bring up all of those emotions. Be well. This post moved me to tears. Absolutely beautiful. Thank you for sharing your memories. Peggy, thank you for visiting and for your kind words. I am so moved by what you’ve shared, Kevin. I do hope to one day see the Memorial and I agree with you that a museum is an absolute necessity. I think we all recall how for a short time following the dreadful event the country did pull together and in our mutual shock and grief there was a brief period when politics wasn’t business as usual. I really don’t understand how a museum can be such a political hot potato! But I haven’t heard the story of the tree before, and I’m so glad to know of it now. What an amazing object lesson! It is indeed a symbol we could all learn from. Dear Kevin – what a beautiful and very touching tribute. I cry as I read it, remembering the horror of that day, as well as the fear of not knowing if my loved ones were OK, and the relief when I finally heard they were! The emotions are still very close to the surface, for I watched them build those towers when I was working at my first job out of high school – at a bank on Wall St. and could see them standing tall in the far distance from the Queens apartment where I lived as a young wife and mother. To come back to NY and see the empty spaces in the skyline just feels so wrong. I hope the Freedom Tower will alleviate that empty feeling, somehow. I wish the powers that be would get their act together and get that museum open. The families want the memorial to be more than just names – they need for the stories of their loved ones to be told. We all need to KNOW who these people were and remember them always. That tree is a momument to the strength and resiliency of the American people. Thank you for writing such a beautiful and moving post this week. Never Forget. Thanks for sharing your memories here. The Towers were like an anchor on the southern tip of Manhattan — and there has been a void ever since 9/11. 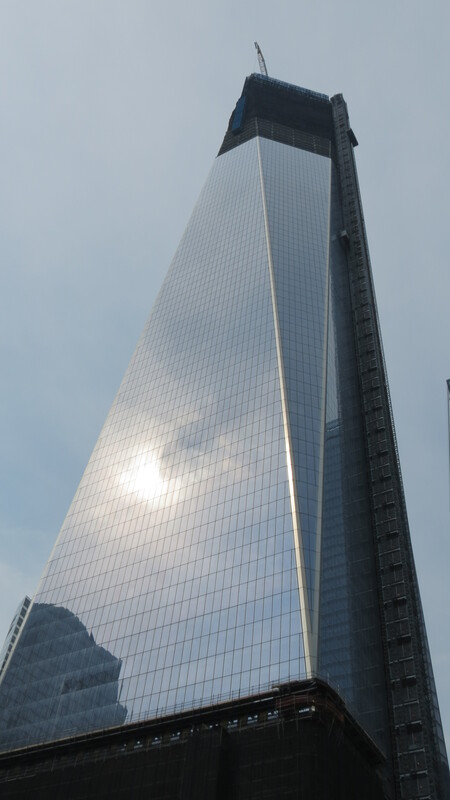 The Freedom Tower does help, but, in all honesty, something still seems to be missing. Younger generations, though, will not notice the difference — which is why the museum is essential. I am so glad that I took the time to read this post and so grateful to you for posting it! What a touching story. The anniversary of 9/11 always causes us to pause and think about what’s really important in life. Hi Joylene. Thanks for reading the post and for your kind words. Be well. The resilience of that tree is amazing. Thank you for sharing this. I live on the other side of the continent (Oregon) so know very little about what’s happening at Ground Zero. Beautiful post! Hello Grace. Living in the NY area, 9/11 and Ground Zero always seems to be a part of our lives. So many communities lost residents — and at each anniversary, there are so many memorials and so much news coverage. I appreciate your visit and comment. Be well. 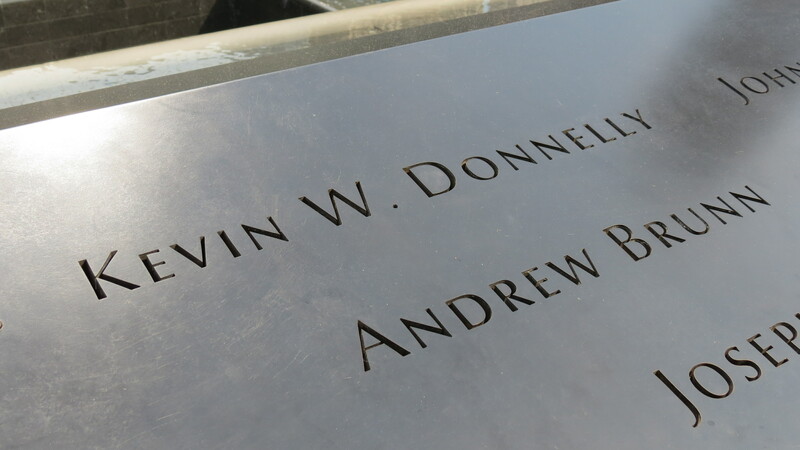 Just a brief note on Lieutenant Kevin Donnelly, FDNY. After the firefighters were ordered out of the tower the last words heard that were spoken by KD were ” OK- As soon as I get done helping this woman” .That was KD. A Red Lacy Maple (I think) is planted in his memory in front of the volunteer firehouse in which he was also affiliated. Yes, that was definitely KD. Wow — the survivor tree: Such an incredible symbol. Hi Mikalee. Thanks for visiting and your kind words. Be well. This is beautiful. I remember last year, watching the coverage of the dedication of the memorial, and just bawling. Thank you for reminding us to have hope. Because without hope, we really don’t have anything at all. Well said. We all need hope — thanks for commenting. The picture of the pool is stunning. This event has changed our entire country, and it really is sad that there has been 10 years of fighting over a museum. It really is sacred ground – I can feel it even through your pictures. It is a very moving place to stand — and the enormity of it can be felt. Thanks for commenting and for your kind words. Be well. Excellent post. The real memorial of 9/11 is not in monuments and speeches but in the lessons we take from that day and apply to our lives. Absolutely. It’s one of the reasons I always think about September 12 — when we all supported each other regardless of our differences. Maybe we need to apply that a little bit more these days. Be well. beautifully told Kevin, tears in Oz reading it and remembering.. Many thanks for visiting and commenting. It’s nice that we can reach out to each other — no matter the distance. Thanks for commenting and for remembering. Such a beautifully written post. The mother and son story was very touching and brought a personal spin to the memory of your day 11 years ago. We all have a story. I was in 6th grade at the time and while most kids’ parents were picking them up, I did not know what was going on. If I remember correctly, I felt mostly confused and excluded. I wondered why I was one of the few kids that weren’t getting picked up. An hour upon my arrival at home, my mom came home and told me the news. I wasn’t even aware. The Survivor Tree is extremely symbolic in this story. Sadly, I did not know of its existence. However, learning about it has given me a sense of peace almost. It survived and blossomed despite being hurt and broken. That is a lesson to be learned. Thanks so much for sharing your memory. Your story is a reminder that we need to talk about that day and to have a museum to educate future generations. May we all be as strong and determined as that tree. Be well. Thanks for visiting and commenting. Be well. I enjoyed this piece gave me a little more insight…since i have yet to visit the site. Thanks. I too, remember where I was and what I was doing. It truly is a sad day in history. Thanks for sharing your memmories and picture with us. Many thanks for taking time out of your day to reflect and remember. Take care. It’s a weird thought, but one of the things that 9/11 made me think of was how stunned, quiet, and strange if must have felt in the US on December 8, 1941. Historical events all end up reduced to words in a textbook, but having gone through 9/11 (as much as I did way over on the West Coast) really made me realize how raw and new even Pearl Harbor was at the time, and how raw history always is. Wait long enough, and everything becomes the past. Absolutely. That’s why it’s important for there to be a museum so that we can all understand and cope. Thanks for commenting. I’m not sure a museum would make a difference, though. Like I said, it all ends up bland words in a textbook. This is a good thing and a bad thing — time and fading memory helps us to release resentments and grudges, too. I drive a Japanese car, and I don’t know of anyone who would consider Japan to be anything but a perfectly nice ally nowdays. How does one hold onto the memories and release the grudges? I guess that’s what the tree is about — thing continued to live and flourish even with every reason not to. Hillary Clinton always says bloom where you’re planted. Even in the ash of anger and pain, life can flower. I also remember, I was in class when it happened. We were all called out to the auditorium to watch the news on a large screen. It didn’t even feel real. We were thousands of miles from New York, but I know there were students who had family in New York and who may have been around the area at the time. Since September 11th, I’ve gotten to travel around the world a lot – around Europe and the Middle East mainly. No matter where I went, people could sympathize with those who had lost their lives or families in the disaster. It’s shameful that, right here at home, many of our politicians of both parties only seem to see the 11th as a way to win elections (this happened in my state, and the guy who used 9/11 as a campaign strategy to attack his opponent is still a U.S. senator) or to justify passing destructive policies. The tragedy of the event should not be politicized. The victims were just going about their business — commuting to work, talking on the phone, enjoying a cup of coffee, reading the newspaper, catching up on email . . . The victims could have been any one of us, which is all the more reason that we need to be there for each other. Thanks for commenting and sharing your memories. Thanks for visiting and commenting. Take care. I was in the 3rd grade when the planes hit the towers. I didn’t understand what was happening. I didn’t even realize that something major outside of my life had occurred. Much later I learned what happened, and how its effects are still felt today. Hopefully someday, we can leave behind the negative effects–Islamaphobia, fear of terrorism, conspiracy theories–and remember how the country banded together afterwards to work together to rebuild a terrified nation. Like you, I would like to see something positive rise from something so tragic. Thanks for commenting and sharing your memories. you’re welcome. oh, and i just wrote a post on my own blog about 9/11. You’re welcome to read it if you want to. I just read your post. Well said! There is a feeling as you walk amidst the construction and new promises rising where so much sadness happened. It’s like a stillness and calm yet tears form and yet the power of triumph is felt. That’s exactly what it feels like to visit the site. On the southern tip of this bustling city, there is a place to pause and reflect. Be well. Reading this gave me goosebumps and made my eyes prickle. I live in India, and I was nine years old on 11th September, 2001. I didn’t know a whole lot about America back then, except that my maternal uncle and his family lived there. I remember that night, when my dad and my grandmom stood staring at the TV. They’d always scold me if I stood too close to the screen, but that day, I remember their noses being inches away from the screen. All I wanted to know was whether my uncle and my aunt were okay, and my dad said yes, they were, because they lived in Michigan, not New York. I guess I was okay with it after that, but I did not understand why my grand mom was so worried. I guess I just didn’t understand terror very well then. The world changed that day, even if I didn’t realise it. I do now. I’m probably easier to scare now. I’m not sure if I’m making a point here, but it’s a memory that’s overwhelming me right now. It’s emotional. Thank you so much for sharing your memories of that day. I enjoy reading the recollections of people from around the world — it’s a reminder that for a brief moment we were all humans, together. Be well. Far away in Sweden, I felt with all the people that lost someone they loved that day. This wonderful post touches My heart and once again I rember everything like it was yesterday. Wish you all the best. That tree…..I have to go visit it some day. Thanks for visiting and commenting. It’s sad that so many places around the world have experienced terrorist attacks — your words are a reminder that we can stand together. Take care. This Survivor Tree’s flowering demonstrates that life and nature is renewed at a place of still unimaginable loss. Don’t you think? I think that’s the beauty of the symbol of the tree. It represents life, hope, strength, reliency, and comfort. Thanks for commenting. No words to describe your post other than WOW. Just wow. Very deserved choice for the Freshly Pressed page. Thank you so much for your kind words and for visiting. Be well. Thank you for sharing your story and adding it to our collective memory. I always appreciate a chance to look back as a memorial on this day. Thank you for the hopefulness of your tone. I’d like to thank you for visiting and for taking the time to reflect and remember. We all need a little bit of hope. Be well! Wow, I heard about the tree, but I did not know how many times it has been uprooted and moved. I too, have tears today and from reading replies to your post. Elegantly written. I did a post on my blog about ‘Where Were You 9-11-2001?’ I remember as I imagine several will hopefully blog about it. Thank you for sharing and Best Wishes for peace to envelop each and everyone of us. Beautiful sentiments. Thanks for commenting and be well. Pingback: Remember September 11th and the Terror Attacks on NYC | Shut The Bark Up! Thanks for the link. Be well. Thank you for a beautiful and very moving post. 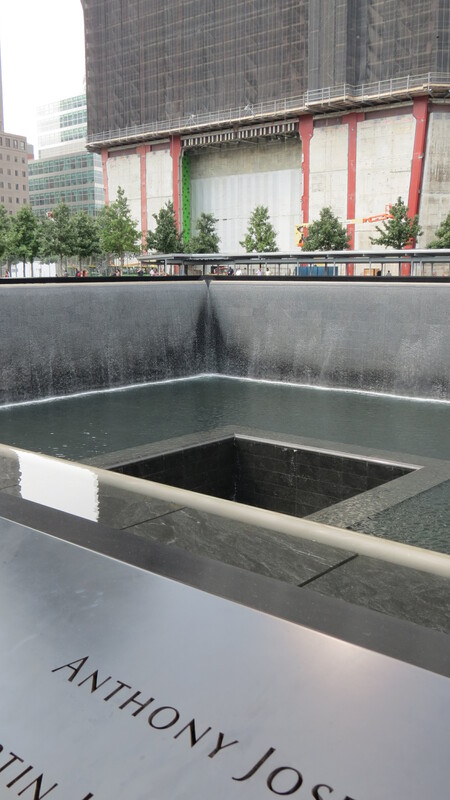 Taking our first family trip to NYC in a couple of weeks, I want my daughter, Charley, 8, to see the 9/11 memorial pools but I wasn’t aware of the survivor tree. I’ll make sure that she sees that as well. I’ll try my best to explain to her what all of “it” means, your post will help me along the way. I’m glad I could help, amd thanks for teaching these lessons to your daughter. In time, there will be a museum on the site. Enjoy NY — there is so much to see here! Be well. Hi Stephanie. Thanks for visiting and for the reblog. Take care. No problem! Loved reading it! Many thanks for the support. Be well. Many thanks. I’m glad you were able to visit. Thanks very much for your kind words. Be well. Thanks so much for your kind words. Take care. 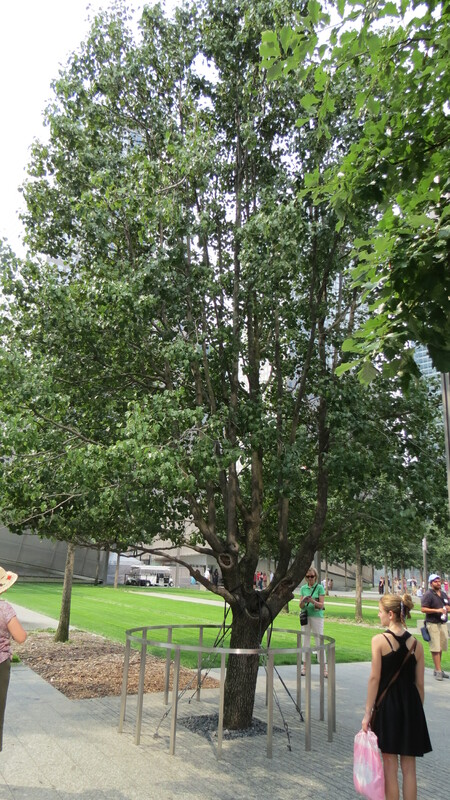 Excellent post, and this is the first time I’ve heard about the Survivor Tree. Hi Matt. I hadn’t heard of the tree either until I visited the site — and the symbolism really struck me. Thanks for commenting and your kind words. Be well. Today, I wanted to pass along a post about the story of a tree the survived 9/11 as well as one man’s experience that day seeing a mother and child embrace in his school building. Terrific work. Hello Jay. Thanks for stopping by and the reblog. I truly appreciate the support. Be well. Reblogged this on choose my way. Thanks for the reblog. I appreciate the support. Thanks for the reblog — and for sharing your story on your site. Beautifully said — and I couldn’t agree more! Thanks for the link and for sharing your own story on your site. Be well. Touching, true and this post is the first one in which I have read about The Tree. What a special tree it is. Thank-you. Pam, thanks for taking the time to visit my site and for remembering. Be well. I could never forget. Thank-you. Your pictures are beautiful and so are the things that you wrote. Congratulations on getting Freshly Pressed. Hi Gerard. Thanks for visiting and for your kind words. I’m on my way over to your site. Take care. I loved your thoughts about the Pear tree. I am a tree lover too as you can tell from visiting my blog. There is just something about them. 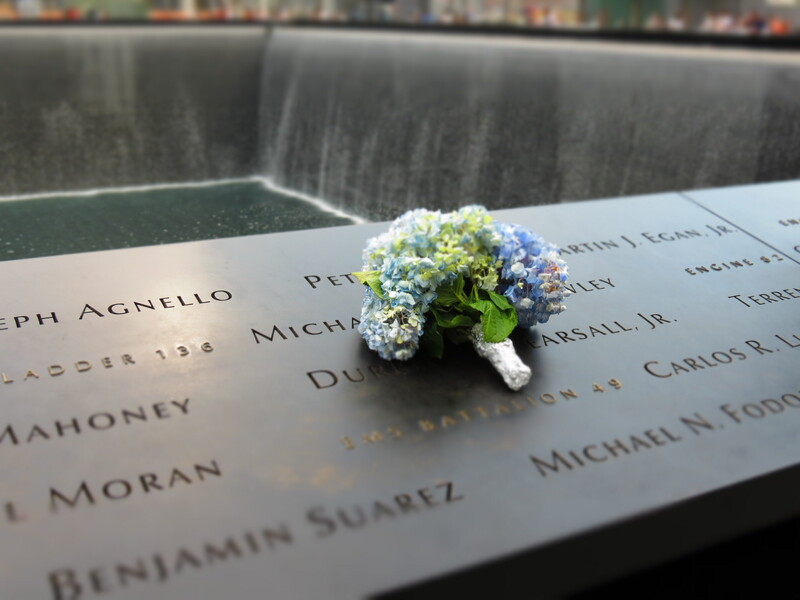 I also blogged about 9/11 today. I am sorry for your loss. Hi Marcella. Thank you for your support and for commenting. I will be sure to check out your site. Be well. I didn’t want to turn this page into a debate, but I feel that I have to respond to your comment. Although I can appreciate your right to your opinion, I’m not sure what difference it would make to identify the terrorists as Muslims. The media does not use the word Christian to identify the domestic terrorists that blew up a building in Oklahoma; nor do they use the word wacko to describe someone who would walk into a movie theater and open fire. Besides, after 11 years, I think we all know that the terrorists were Muslim. I also feel I have to say that the victims of September 11 were of all faiths (including Muslims who were going about their day), ethnicities, races, genders,and sexual orientations. The terrorists were not concerned with labels — nor should we be. Thank you for this beautiful post. Eleven years ago, I was one of the parents stumbling into my child’s school with a baby in the stroller and little guy at my side, needing to hold him and take him home. As a parent in the NYC (Manhattan) school system, I’ve had many complaints over the years, but I have always and will always be grateful for the incredible work of the teachers and support staff on 9/11. I haven’t talked about 9/11 this year, made a deliberate decision to avoid posts and conversations focused on it (except for those who I know lost someone close to them on that day). I don’t want to forget, but I did a lot of talking and remembering last year–10 years was a blink and a thousand lifetimes all at once–making it incredibly hard to move forward once more. My long winded way of saying I broke my own rule when I saw your post on Freshly Pressed, and I’m glad I did. Hi Mrs. Fringe. I am deeply moved by your story, and I completely understand your decision to avoid talking about the day. I hope that you are able to find comfort and peace today. Take care and thank you for your comment. Hi Kimi. Thanks for stopping by. Reflection is, indeed, a gift. I just tweeted this moving piece. Thank you reminding all of us what was lost that day. Hi Margie. Thank you so much for your support. Be well. A wonderful, moving and inspirational post. Thank you so much for your kind words. Take care. The tree, the tree. I had never read or heard anything about this tree before–indeed, what a sparkling silver lining. I was in college that day, in film theory class. Someone knocked on the door and said that a plane flew into one of the WTC buildings. She could patch the news feed to the monitor in our classroom if we wanted to see live coverage. The teacher continued lecturing while we waited. My classmates and I watched in silence. The teacher then ended class early. I went to the student center where I saw a group of my friends. I remember people crying, people with dazed expressions…like they were numbed or had just awoken. I want to thank you for sharing your memories — it’s one of the most amazing things that has happened in the comments to the post It’s a reminder of our common bond. Be well! Thank you so much for your kind words. Be well. I feel you. Thank you for this wonderful sharing. Hi Lee. Thanks for stopping by and reading the post. Hope all is well. You are very welcome, and I’m glad that you were able to visit my site. Thanks for remembering and for your kind words. Be well. Great post and images, deservedly FPd. I watched events unfold from west London in the UK. I couldn’t take it in at first, for hours I kept believing that the first plane was a small one and the building an empty office block. My mind just wouldn’t absorb it. At some point I remembered that someone I hadn’t seen in years was an airline pilot, which is probably when it began to sink in. Today I went to visit the site of a pub that was hit by a bomb in September 1940. The tenants, a family of five, were all killed. The Load of Hay had been there in one form or another since the 18th century but the site is now overgrown and full of trees. I’d like to see at least a small memorial to them but I don’t think it’s such a bad thing that it’s overgrown at the moment, there are probably lots of small animals and birds living there. I think nature has a subtle way of telling you to get on with life which is why a damaged tree will recover and we usually smile when we notice it. Thanks for sharing your memory and for the poem. I agree with you when it comes to nature — it heals itself and moves on. Thanks for your comment and for your kind words. Thanks for your beautifully written post. It’s so amazing that in this highly technological world, amongst the skyscrapers of Manhattan, a simple tree survived a day of incredible tragedy and destruction. Be well. Hi William. Thanks for visiting and for your kind words. It is indeed a wonder that the tree survived the day — and that people, despite the monumental task facing them, worked together to save it. Thanks for stopping by and for your comment. Glad you enjoyed the post. Take care. And thank you for visiting and reading the post. I appreciate your support. Be well. Wonderful words.. A beautiful tribute to so many. Thank you. I’m glad you stopped by. Thanks for your comment and your kind words. Take care. You write the most loving heartfelt posts. I just discovered your blog and have enjoyed what I’ve read. Your 9/11 post is poignant. It’s funny, the little, seemingly incidental things that resonate with us, little scenes that could easily be overlooked. You are a good observer and a respectful writer. Keep up the good work. Roberta, many thanks for visiting and for your kind words. Enjoy the day. Stop by. It would be kind. Thank you for your comment. I have truly been amazed by the memories of international readers — and rather than remember how the entire world was enveloped with misery and sadness, I would rather remember how we were enveloped by unity. I will certainly visit you site. Be well. Thank you for sharing your experiences. I know you were young when it happened, but the emotions can be just as raw. Be well. Thank you for sharing your story. Your story and these comments have brought tears to my eyes. I will never forget that day, sitting in my Freshman year Math class, too early for me to be fully awake when the first plane struck. I remember heading to visit my Mom’s office, looking up at the TV in her office and so confused by what I was seeing. Classes were canceled the rest of the day, all I did was watch TV with my roommates, and just numbly stare. Every now and then calling home and calling friends to be sure they were ok. I have an uncle who used to work in the Pentagon, luckily he was not there that day. I will never forget that day, and I hope NY and everyone can come together to build a museum or continue remembering the victims in a thoughtful way. Hi Christina. Thank you so much for sharing your memory. It’s so important to talk about it so we can try to make sense out of something so tragic, so that we can educate younger generations, and so that we can learn lessons from the devastation. Take care. This is very touching. Thank you for sharing your experience, it’s a lovely tribute. Thanks for visiting and for your kind words. Take care. I think we can surprise ourselves by how strong we all are. We should embrace our inner tree. Thanks for commenting. Ground Zero has changed so much since the last time I was there. I remember the pit where the buildings stood were still being worked on and debris removed. I didn’t even realize it had become a memorial with cascading water. Thanks for your moving story! They have certainly made progress at Ground Zero — some of the buildings still need to be finished, as does the museum. The actual memorial is incredibly moving and peaceful. Hopefully you can return when the work is complete. Be well. I’ve been living in China for the last 2.5 years and haven’t returned to the USA since. Hopefully when I do the memorial and museum will be finished. I was at Ground Zero before and after 9-11 and feel I need to see the completed after. Best wishes for you as well. The story of the Survivor’s Tree is amazing…so encouraging. I am a survivor myself, not of 9/11 but with a life threatening illness. I can relate to the tree. My husband and I were married 2 days beforehand 9/11. The night before we were flying from Sydney to Auckland for our honeymoon, we saw one and then a second plane fly into the World Trade Centre. There we were on the other side of the world watching this dreadful scenario unfold. I also remember this awful feeling of dread, wondering what was going to happen next. It really did seem like the end of the world for awhile there. It is terrible to think that man can inflict such pain, suffering and death onto our fellow man. I didn’t know about this “survivor tree” but thanks to your post,I do now!It’s a beautiful one.. Thanks for finding my blog. I appreciate your comment. Be well. Thank you for remembering in fine prose. Beautiful. Hello. Thanks for visiting and for your comment. I appreciate your kind words. Be well. I invite you to drop by my blog/world when you have time. I’m on my way. Thanks for the invite. Thank you for your post. As an outsider (living in Florida) I was greatly touched by 9/11. I appreciate the story of the tree and the beauty/symbolism. Its nice to hear stories that are so very personal and real. Thank you for sharing. Hi Kimberly. I’m glad that you were able to stop by and that you were able to find some comfort here. Be well. Thank you for sharing your story and for giving us the story of the mother and her son. Just reading this post caused me to tear up. 9/11 is still weighs heavy on many of our hearts. I hope in the years to come more of us are like the Survivor Tree. Thank you again for sharing. Thanks so much for stopping by. September 11 — and so much other sadness — is something that many of us deal with each day. We should all embrace our inner survivor tree. Thank you for this. Even in the midst of so much horror and tragedy, it is still possible to find comfort and a lesson to learn. I hadn’t heard about this tree until just now, but like you, I am impressed. Like the other survivors of that day, I can’t even begin to understand what it has gone through. The fact that it is still standing and growing is a miracle. Life does go on, and it is possible to grow from something terrible. How inspiring! Thanks for stopping by. Messages of hope and healing can come from the strangest of places — even a tree. Be well. Great story. And thanks for making me cry! It was so touching. I believe there are a lot of people who changed in a good way after 9/11/01. We just may be hidden here and there. The media as a whole would mostly like to report the bad stuff, but reading blogs like yours shows there is goodness in people out there. Sometimes we just have to notice it. Thanks for visiting and for your kind words. I agree that many people did change for the better after 9/11 — but with time, the ugliness appears and sometimes we just have to be more vocal about the positives. Take care. The story of the tree is amazing, I live in Jersey so on that day I had loved ones in the city and lost people that I knew in the towers. So to hear how something could have survived something so tragic it gives me chills. I’m glad that you were able to find comfort and peace in this post. Thanks for your comment and be well. I was teaching that day as well, far away in Texas. All I wanted to do was leave my school, go grab my own children at their schools, and hold them close. Thank you for the story of the tree. I had somehow never heard about it. Oklahoma City has a tree as well that survived the bombing. Perhaps they did survive to teach us all something. I never knew of the Oklahoma tree. Lessons and hope are all around us — we just have to pay attention. Thanks for commenting. I too lost people in the Towers, and the fact that that tree is still there fills me with inexplicable joy. 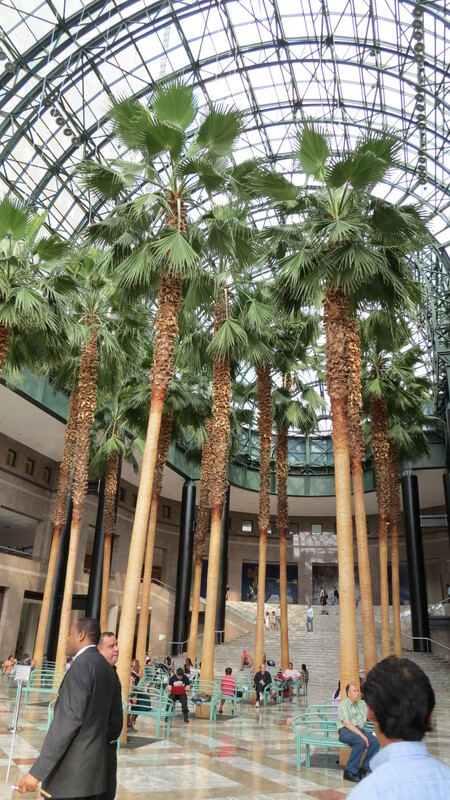 It’s likely that in the years I worked in and around the Trade Center, I passed that tree, or even leaned into it, looking for shade from the hot summer sun. Thank you so much for the post, and I am sorry you were also touched with loss. So many of us were, and yet we move on and live, to honor their memories. I’m sorry for the losses you experienced — but the joy of the tree is the miracle, the hope, the strength that we were all looking for that day — and that we still look for today. Thanks for commenting and be well. I was really moved by your post. I’ve never been to New York but on that day 11 years ago we were all neighbors no matter where you live. The mother just needing to be with her son made me cry. I was at work when the news came over the radio. Left work shortly after that to go and be with my mother. Just needed to be with family on that dark day. I loved the story about the tree, it’s such a symbol of hope. I hope it’s okay but I added a link to your blog on my blog. Everyone should read about the tree and the mother and son. I am very flattered to have the link. I completely understand about your wanting to be with family. I felt the same way. I just wanted to be home, in my cocoon, safe from harm. Thanks for your comments and for the link. Be well. I didn’t know there was a lone tree that survived the “9-11” attacks. There’s a similar tree in Sendai, Japan that survived the 2011 March 11th tsunami! It’s called the “miracle pine tree”. Your blog is very interesting…please visit my blog about life in Tokyo. The Miracle Pine, and the trees at Ground Zero and Oklahoma — it kind of makes you marvel at the strength of trees even more! I will certainly visit your site. Thanks for commenting. Be well. It’s a beautiful write-up and very nice concluding lines. Your narration on the surviving tree and lessons deduced from its very existence is outstanding. Thumbs up! Thank you very much for your kind words. I’m glad that you were able to visit. Take care. I’m a bit jealous, I was very young when it happened and to see the monument opened up with a sense of what exactly happened (things were not explained to me until later). One of my life goals is to see this place and plant flowers or prayers. Or both. I do hope you are able to make it to the memorial. It’s a moving experience — and an opportunity for all generations to learn and reflect. Take care. Very beautifully written. We must learn from the tree and make sure our will to survive remains intact! Thanks for stpping by and for commenting. I agree — the tree is a symbol for all of us. Thanks for this post, I didn’t know the story of the tree. I wasn’t sure how to honor 9/11 this year, watching repeats of images from that day and seeing political speeches is exhausting at this point. The story of the survivor tree was timeless and perfect, thanks. Hi Erin. Like you, the media coverage can seem overwhelming and does nothing but bring up so much pain and emotion. The message of the tree is much different. Thanks for your comment. This was a touching post. Thank you so much for sharing. Hello Mia. I’m glad that you stopped by and enjoyed the post. Thanks for the comment. Thanks for visiting and for your kind words. Be well. Hello and thanks for the comment. Believe me, I truly appreciate all of the comments. It’s been an incredible experience reading the words and memories of people from all over the world. Amazing. Many thanks for your kind words. Take care. I did not know about the tree… what a wonderful living monument to nature’s resilience and survival. Thank you for inspiring me. It truly is inspiring, and I’m glad I was able to share the story with so many people. Thanks for your comment. Be well. Hi Kellie. Like you, I appreciate the symbolism of trees — and the sense of peace and protection they can provide. Thanks for your comment. Be well. Thank you for sharing! I remember 9/11 as clearly as yesterday. I experienced no personal loss but it made me rethink life and what it means to all of us. Am I a better person? I hope so – like the tree, the experience has made me adapt and become a stronger human being. Hi Anna. I’m glad to hear that. I think many of us are like that tree whether we realize it or not. Thanks for commenting. Beautifully written post. At points, I felt like I was there with you eleven years ago. I’ve wanted to visit New York for years, specifically to see Ground Zero, but unfortunately have never had the chance to. You have graciously provided me with a visit today, so thank you. Also, I had no idea about the tree story. Very interesting. Thanks so much for the enlightening post. I’m glad you felt as if you were there — maybe you’ll make the trip in the future. Thanks for commenting and for the reblog. I appreciate the support. Beautifully written post about 9/11. Where were you when it happened? Thank you for posting such a beautiful article on this tree that “wouldn’t give up.” As a New Yorker that day is permanently imprinted in me and I still can’t watch anything on t.v. concerning 9/11 without crying. However, you have given your readers a generous gift by writing about the “will” of this tree and the wonderful people who helped it along. Your story fed my soul. Hi Nareen. I also cannot watch any of the footage. In fact, I avoid all news broadcasts on September 11. It’s really too much to handle. I’m glad I was able to share the story of the tree — and I appreciate your kind words. Thank you for visiting. Take care. Your post brought tears to my eyes. Everybody remembers what they were doing that day (just as I remember when JFK was assassinated). You were able to shed a more local insight — you and the pear tree. Thanks for sharing. Hello Diane. Your statement is one of the reasons I avoid news coverage on 9/11. I remember very well on my own — and I do not need any help from the media. Thanks for commenting. Be well. Many thanks. And I’m glad you had the chance to visit. Take care. I want to thank you for your post. There are many emotions attached to that day. I was on my way to a women’s bible study after dropping my daughter off at school in Toms River, NJ. My pastor had worked in the towers and lost friends and colleagues on that day. I will never forget that day, where I was, what I did or what happened later when the smoke drifted over our house. I spent most of the day at their house trying to console him and his wife due to the lost friends. Having served in the Air Force i knew right away it was bad news. I also knew that there would be long-reaching consequences for me, my family members, and every one who was personally touched by these awful actions. Because of this, I left my daughter at school that day. I wanted to go get her but decided that by leaving her at school she might learn a different lesson. I wanted her to remember the day with reflection on the lives lost, lessons learned by all of us, and yet understand that life must go on. I wanted her to understand that that she was a strong woman and that she could respect the lessons learned, morn for those we lost, and remain strong in the knowledge that she could blaze on down her trail in life with courage and strength. I wish that I could have done more for those directly touched by this tragedy. I still get chills each time I remember that day. I will never forget standing on a beach at Sandy Hook, NJ looking at the two towers of light that lit up the sky at night. May God richly bless each and every one who was ‘touched’ by these terrible things. Beautifully, beautifully said. Many thanks for sharing your memories. Take care. Reblogged this on Monkeys Live in Tree's. Many thanks for stopping by. Take care. Kevin, I know this is crazy but I just have to tell you that of all the many people who lost their lives on 9/11, my husband knew two of them. One was a cousin of his, and the other was Kevin Donnelly. I even checked the link to make sure it was the same person. My husband came home after working that long, long day helping to get people on bridges and on buses, and for one of the few times in our married lives I saw tears in his eyes. Once the dust had cleared and the names were published, he realized that his childhood friend, Kevin, was gone. They hadn’t kept in touch over the years, but the loss was still real. He told me about their teen years, and about the snippets of memories he had. I will show him the article you wrote about Kevin, and I’m sure he will be as proud of him as you are. Lori, I am sitting here stunned at the coincidence and connection. I hope my words can bring some sort of closure or comfort to you and your husband. I’m sorry for your losses. Be well. 120 Liberty Street. It is worth experiencing. There are artifacts, stories and photos of the slain and the survivors and a lot more. It’s very powerful and is open now. I went two years ago during a trip to the United States and I’m glad I did. Hi Clare. I’ve heard about the Tribute Center — it’s just a sad state of affairs that at the 9/11 Memorial, where the Survivor Tree and Reflecting Pools are located, there is a building where the museum is scheduled to be. Visitors peer into the windows to see a building under construction. Never-ending construction because of a dispute between the mayor and the governors of NY and NJ. The issues appear to be resolved as of this 9/11. Thanks so much for your comment — and I agree, personal memories need to be kept alive. Kevin, what a beautiful post. Thank you for sharing that memory of the mother and her child. I thought of my own children, and imagining that moment was very emotional. I love the story of the tree as well – very poetic. My own memory from that day was walking into the call center at our office and being able to hear a pin drop… unusual. The senior leader was standing in a crowd of employees with a headset on, speaking to a customer… also unusual. As I got closer I could hear that he was praying. He was speaking to one of our customers in the Twin Towers, and he was praying with them. It gives me chills to this day. Hi KC. Thanks for visiting and sharing your memory. It’s a powerful and emotional one. I can’t imagine the strength it must have taken for your senior leader to be able to do that. Take care. Hi! This post is beautiful!!! I was fairly young when this happened, definitely didn’t understand what was going on. I understand it now and it brings tears to my eyes almost every time. I’m super excited for the museum to be built, a great way for me to learn even more. But it is amazing how easily people just don’t really care sometimes. In May we had a bad storm and the flag across the street had a bad rip in it, I e-mailed the city and they basically told me it didn’t belong to them, so they weren’t going to help. I then e-mailed a man on our local news and he never responded. In August someone took it down, so I had a torn up flag to admire on July 4th, on 9/11 I had nothing to look at. Someone recently put up a new beautiful flag, I am ecstatic! I know this didn’t have a whole lot to do with 9/11, but I still felt the need to say it. Maddie, thanks so much for commenting. I completely understand your frustration when it comes to the American flag. When municipalities and organizations decide to create a public space (either a garden or memorial with flags), they tend to overlook one key item: upkeep. Happy to hear the flag was replaced — and I’m glad you voiced your opinion. Be well. Thanks so much for taking the time to visit and reflect. Be well. Thanks so much for the mention. Be well. Thanks for the reposting this. Roy, thanks for the reblog. what a moving recount of a time in your life…thank you .I also remember that day and months after,my crying, pain and sheer disbelief that such wickedness could be wrought by fellow man also ,I think the world en mass cried that 9/11…….So still the tree,so strong and yet how strong our hearts?,to overcome such evil,which I think and hope shall never be seen by man again. Thank you so much for discovering this post and for sharing your own emotions. Be well. Hello and many thanks for discovering this post. I appreciate your comment. Be well. Hello and many thanks for the reblog. Your story was wonderful. Thank you. Everyone has memories of that awful day. But, those of us who work in schools, I believe, have a unique perspective. Every year on 9/11, I remember that feeling of helplessness. That feeling of wanting — somehow — to protect our students. So many of them were frightened and stunned (not unlike us). I’m glad you could be there for them. Hi Kathy. It is certainly a date that is forever burned in our minds. When I think of how we all pulled together — looking out for students and each other — well, it’s kind of the way life should always be. Shouldn’t it? Enjoy the day. Hello and thank you so much for the reblog. Life is wonderful, isn’t it ? It certainly is. Thanks for visiting and leaving a comment. The story of 9/11 is a living testimony to the face of terrorism at its ugliest, that’s why every retelling, rekindling and reenactment is just as moving as though we are seeing it happening before our very eyes. All tv stations around the world covered the event and replayed many times, that’s why I was able to the witness that very tragic event from beginning to end. Consequently and as always, we’ve seen how civilized peoples of the world acted as one in condemning the perpetrators of this dastardly act. I was so moved to see everybody almost willing to offer their lives to save another lives. What a moment to remember in history and the absence of a museum that will put all these memories in one place is simply exasperating. For the time being it was wonderful that you have expounded so well the relevance and significance of that tree standing in there even as it has a story of its own. Thank you so much for sharing this story. And by the way, before I forget to tell you, I am a Muslim from Mindanao, Southern Philippines. Hello and thanks for visiting and sharing your story and memories. I very often wonder, especially as I watch the news today, at the reports of crime and violence around the world. Even a difference of opinion or political views can move people to act violently toward one another — and I think, what happened to September 12? Have we learned nothing from September 11? People are funny that way, I guess. The museum, by the way, will happen. It may take another year or two, but it will happen. Take care! Thanks so much for the repost. Because of people like you, the memory of that day will live forever, and the lives that were lost that day will forever be honored. Thank you for your post. I moved away from the East coast before the monuments and tokens of remembrance were all built, but many of my friends in high school had parents who worked in the Tower’s that day. The story you shared is the story that thousands of Americans need to hear in order to continue to heal. Thank you so much for your kind words and for finding this post. Be well. Many thanks for the repost. Hi Julia. Thank you for sharing your story and I’m sorry to hear of your loss. The 9/11 is certainly a moving experience — and I did not know they charged. When I visited the site, there were guides on the street handing out tickets. Maybe I just happened to be there at the right time. But whether it’s free or not, it is certainly a place that should be experienced. Many thanks for your comments and be well. Wow… a breathless run through all the many comments. I could mention that tree but won’t(! )… Suffice to say I found your account moving and thoughtful. Your FP’ed is richly deserved. Kevin, ‘Thank you’ and bless you for this heartfelt blog. PS I’m impressed that you take the time and trouble to reply to every single comment, even on busy days. You could make an exception here though! Dare you!! Have just discovered your reply to my reply Kevin, under ‘Notifications’ that I’ve never clicked before and which was only drawn to my attention by the new layout. Bit of catching up to do now! Yes, agree your sentiments and hope I can do likewise. Good luck with your writings/typings! Absolutely beautiful. Just beautiful. Thank you for this post. I will print this and read it when I need to be reminded that this day was not in vain. Thank you for stopping by. I appreciate your kind words and I’m so glad you found some kind of comfort in them. Be well. Hello and thanks for the repost! I was only 10 when it happened. I’d just come home from primary school (I’m Scottish, if you’re wondering) in a great mood because the weather was beautiful and my teacher had forgotten to hand out the day’s homework – hurrah! I dumped my school stuff in the hall, grabbed a snack, switched on the TV, and wondered why there was news on instead of the usual cartoons. I’m sorry to say it bored me at the time, and/or I didn’t want to be brought down by whatever it was, and I went off to play video games in my room. I had no idea something *enormous* had happened until we got a special school assembly the next morning. Even since then, it took me years to truly appreciate the significance of 11th September 2001; perhaps I still don’t. That’s why we need posts like these. Thank you. Hello Adam. Thank you for sharing your experiences. As adults, we forget that there is a whole generation that was too young to understand 9/11. I think we take it for granted that your age should just know — but in order to know, we have to talk to one another and listen to each other. I’m glad that you were able to hold on to your childhood innocence through that time, especially when so many in the world lost theirs. I hope the post was able to bring some meaning to the date. Take care.